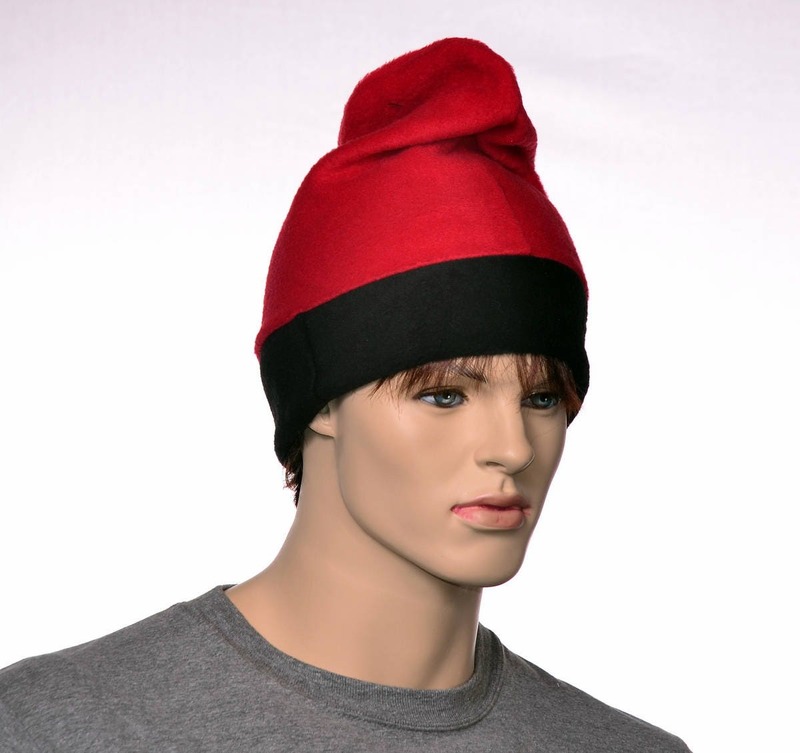 Slouchy style red black barrentina style beanie hat. Sewn from soft fleece. 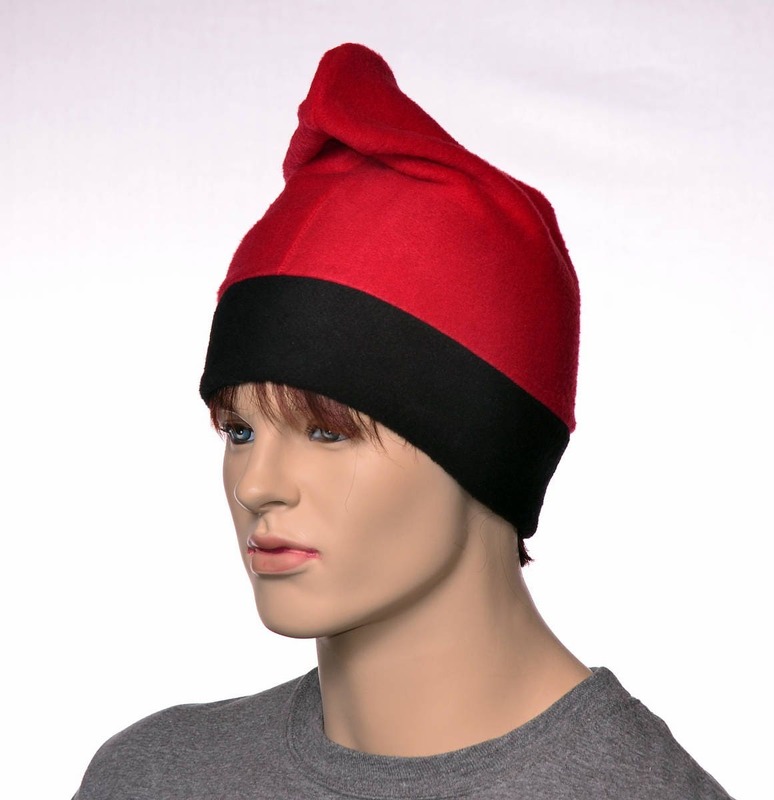 This hat has a double thick headband. 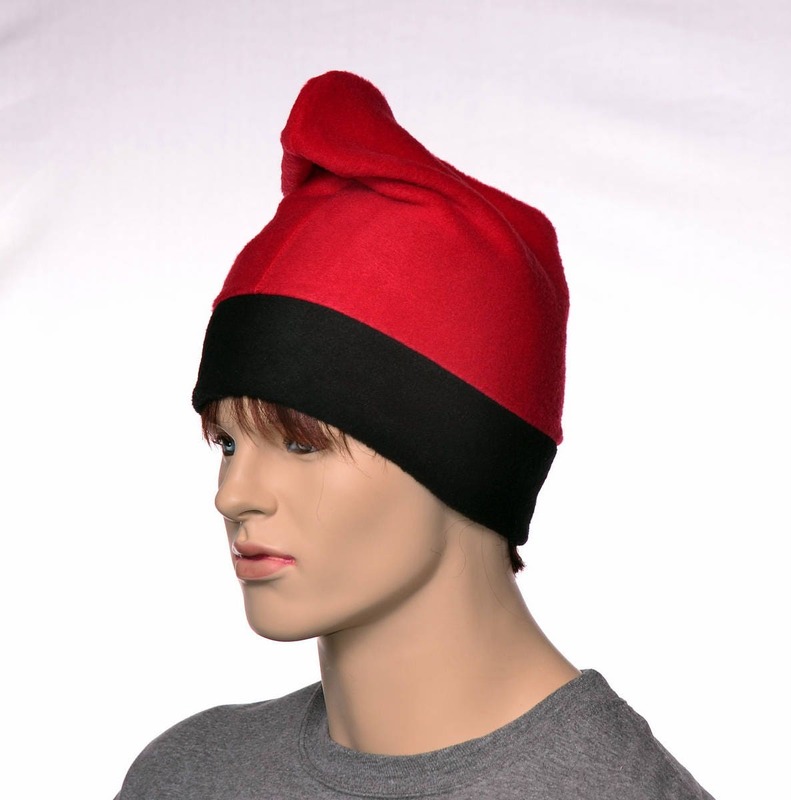 The body of the hat is in bright red, extra tall so it slouches over like a traditional barrentina hat. 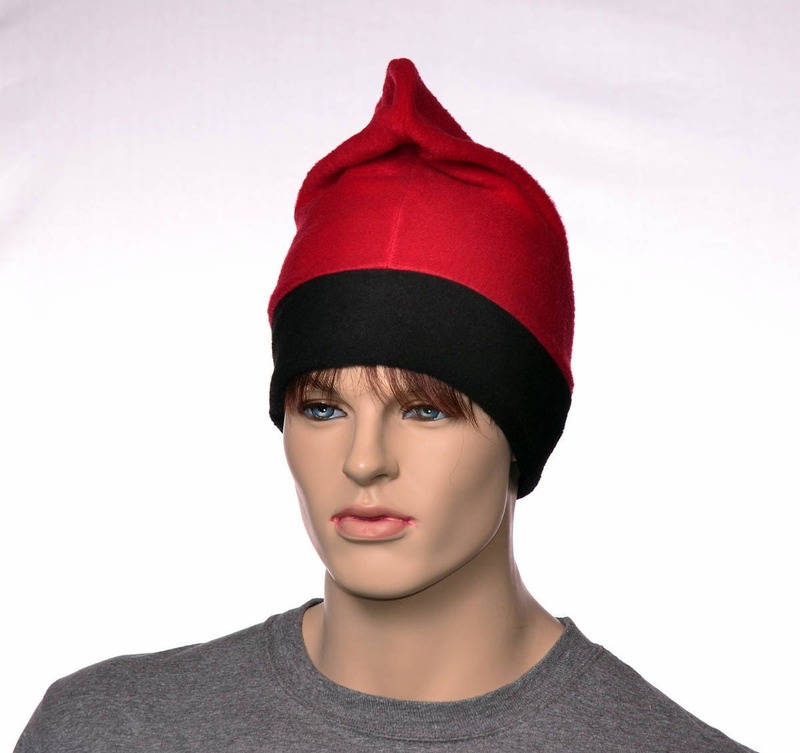 One size fits most adults fitting heads measuring 22-24.5 inches. 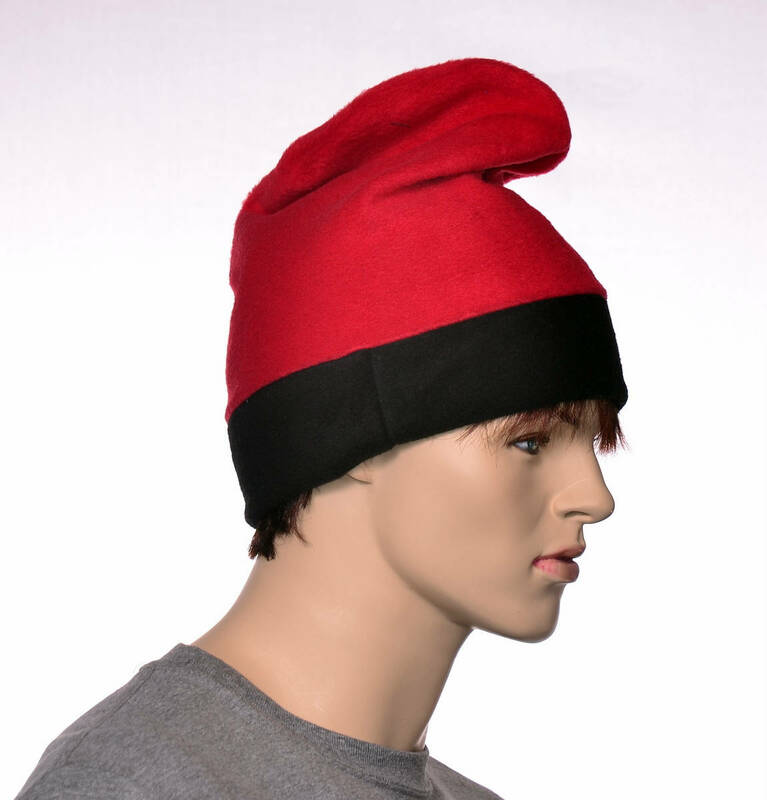 Enter Our Handmade Hat Store To See More: https://mountaingoth.etsy.com for stocking caps, costume hats and nightcaps.